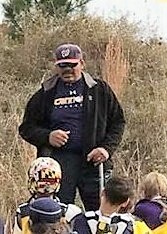 Coach Joe has been involved in lacrosse in Southern Maryland since 1986, joining eight players as the original founders of Calvert Lacrosse Club. Following high school, he continued his playing career at St. Mary’s College where he earned All-Conference honors in 1993 and was named team captain in 1994. Joe took over as Junior Varsity Coach at Edison HS (VA) in 1997 and was named Head Coach the following year at Thomas Jefferson HSST (VA), widely considered the top academic public school in America. In 2006, Joe took over the head coaching role at his alma mater, Northern High School. Under his direction, the program has won 106 straight conference games and eight straight conference titles, earned two regional championships, and won the conference’s first state championship in 2017. Joe celebrated his 200th high school varsity win and was named Maryland Public School Coach of the Year in 2017 as his Northern HS team earned a #9 ranking from The Washington Post. Joe is the co-founder of Cannons Select Lacrosse and continues to play competitive lacrosse in tournaments throughout the US and in local mens leagues. He and his talented wife Julie were the organizers of the summer LaxHeroes Tournament in Southern Maryland which raised more than $80,000 for charity. Off the field, Joe is CEO of IQ Strategic, a data-driven marketing consultancy, and enjoys time with family and coaching his daughter’s six year old soccer team. Coach Lenny started lacrosse in Southern MD in 1986 with nine Northern HS students. When the school would not support the sport, Coach Lenny and the boys raised funds to support the program and continued as an independent high school varsity program until 2000 when the Board of Education adopted lacrosse as a high school sport. 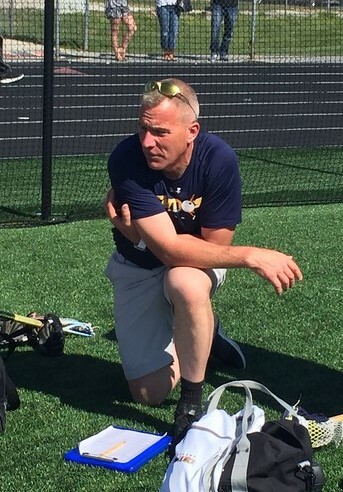 Under his coaching, his Calvert Lacrosse Club teams celebrated two undefeated seasons, won four Tri-County Championships, ranked six times in The Washington Post Top 20, and had numerous players awarded All-American, All-Met, All-Conference, and All-League recognition and continue to be recruited into some of the top college lacrosse programs. Throughout that time, Coach Lenny’s CLC Program developed girls and youth divisions and continued until merging with Cannons Select Lacrosse where Coach Lenny continues coaching youth lacrosse. Lenny still plays the sport he loves in local men’s leagues and travels to compete in tournaments with his Mr Boh team, including playing twice in the Lacrosse World Games. His most treasured lacrosse moments are when he can suit up and play alongside his son, Joe! Off the lacrosse field, Lenny resides in Huntingtown with his lacrosse fanatic wife and maintains a private law practice in Upper Marlboro. Although Lenny’s accomplishments are many, he is most proud of his amazing family and the lifelong friendships he has developed with the players he has coached. Coach Mark first picked up a lacrosse stick at the age of 11 when he started his lacrosse journey with the Calvert Lacrosse Club. By his sophomore year, Mark was the starting attackman on Calvert Lacrosse Club’s HS Varsity Team and he kept that spot through his senior year. Mark helped his team secure two Washington Post Top 10 rankings, climbing all the way to #4 in the DC Metro Area. After high school, Mark played lacrosse at Anne Arundel Community College before moving on to the club/semi-pro lacrosse circuit where he continued for many years. Mark has not put down his lacrosse stick since that first day at age 11. Today he manages a mens lacrosse team and continues to play with a group of his CLC alums in men’s leagues and competitive travel tournaments Even now, Mark plays attack and remains a scoring threat with his smooth moves around the crease and his quick release. 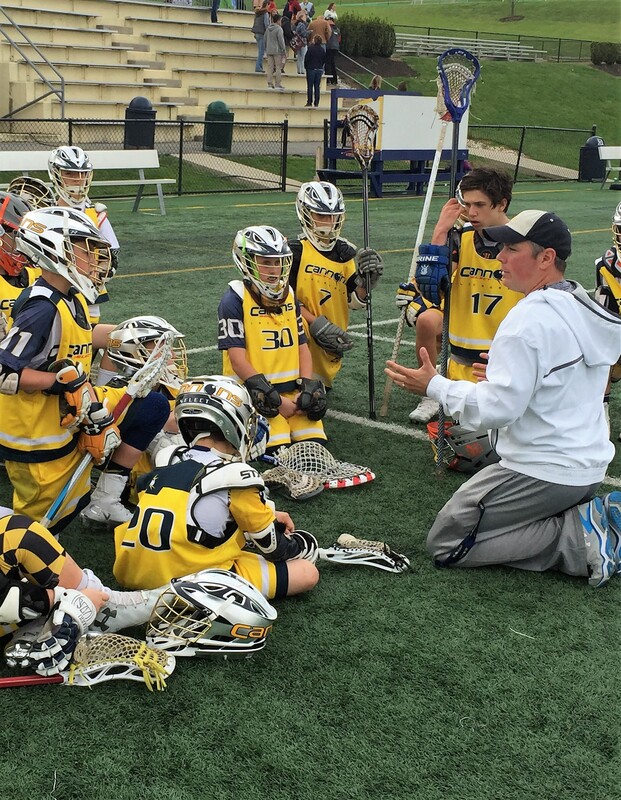 After a very slight twist of the arm from Lenny and Erna, Mark returned to his second family to coach with Calvert Lacrosse Club’s youth program and ultimately with the Cannons Select Lacrosse program. Mark loves each of the young men he has coached through the years and watching those young men take the field at the high school and college levels gives Mark a great sense of pride! During those rare occasions when Mark is off the lacrosse field, he is an in-house electrician with the Engineering Department at Capital One Arena in Washington DC. Mark’s wife Liz played lacrosse during high school and they have a son Camden who was born with a lacrosse stick in his hand and who plays with the Cannons U7 Scoopers Team. Coach Mark is the Director and Head Coach of our Cannons U7 Scoopers Program and will be with us for a long, long time! Tom Duggan began his lacrosse coaching career in 1989 as the Head Lacrosse Coach for the U.S. Air Force Academy where he played as a midfielder and face off specialist for four years. Following his six years at the Academy, a change in his military tour sent him to Rhode Island where he took over the coaching responsibilities at the University of Rhode Island and added youth lacrosse to his resume in the newly-formed youth program in South Kingstown, Rhode Island. With lacrosse growing at a rapid pace in the area, Coach Duggan continued coaching youth programs, middle school elite teams, and founded the South Kingstown High School Boys Varsity program. While at South Kingston, he amassed a 71% win percentage, took the team to the playoffs five of his years there, to the State Championship his last three years, and was awarded the US Lacrosse Coach of the Year for his region in 2011. 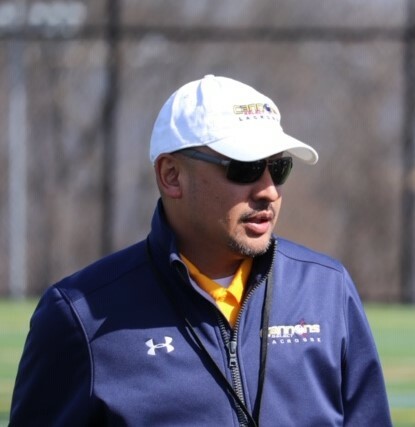 Coach Tom moved to Maryland in 2013 where he continued his coaching career by joining the Cannons Select coaching staff. Outside of lacrosse, Coach Tom is a Colonel in the US Air Force, serving as the Deputy Director of the Joint Surgeon General. He and his wife Amy have a daughter Elizabeth who graduated from Endicott College and is now working in Rhode Island, a son Tanner who graduated from University of Northern Colorado and is now a lacrosse coach at Colorado State University, a daughter Alana who is a senior at the University of Rhode Island, a son Jack who is a graduate of Huntingtown HS and now a sophomore at Arizona State University, a daughter Olivia who is a junior at Huntingtown HS, and son Joe who attends Plum Point MS and plays on the Cannons 2023 team. Clearly Coach Tom has very little free time outside of family and lacrosse! Coach Warren is a familiar face on sports fields in Southern Maryland as he has been coaching youth sports for over ten years. In addition to volunteering his time as a coach on the field, he has served off the field on the Board of Directors of the Owings Outlaws and has sponsored numerous outdoor adventures. Coach Warren has coached girls’ soccer for CSA, youth football for Owings Outlaws, and youth lacrosse for Owings Outlaws, Calvert Lacrosse Club, and Cannons Select Lacrosse. You can even find him flipping burgers at a Cannons Tent City. No job is too big or too small for him when supporting the youth in our community. 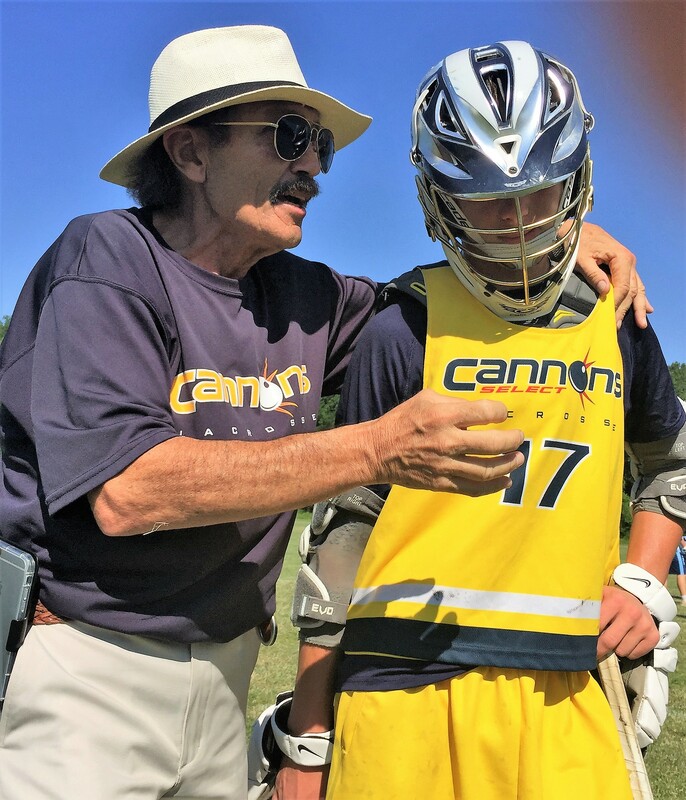 This is Coach Warren’s sixth season with the Cannons, focusing on using the game of lacrosse to prepare our growing athletes for life as young adults. When not on the field coaching, Coach Warren is the President/CEO of Carter Information Solutions, Inc. an MBE certified Federal Contractor based in Clinton, Maryland. Coach Warren is father of three and husband to a very understanding Sports Mom. When time allows and he is not on the sports field, he enjoys a little hunting or fishing. 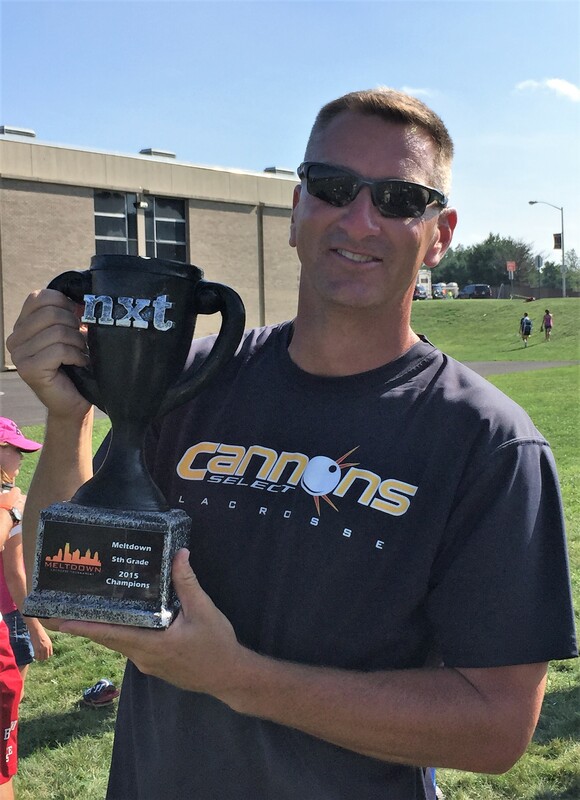 Coach Mark lives locally in MD and brings an impressive lacrosse playing resume with him to our Cannons Program. 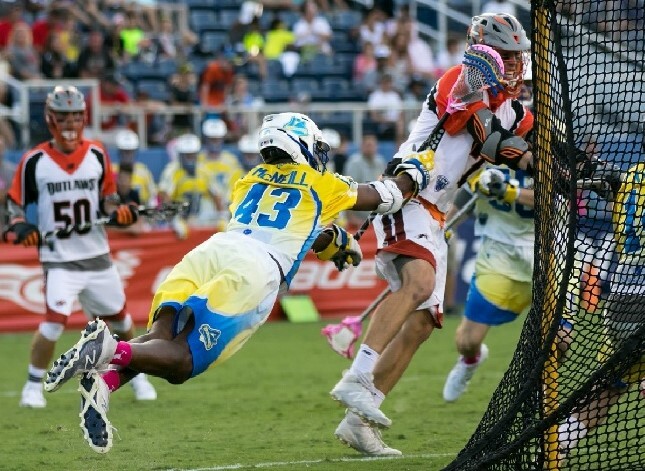 Mark currently plays professional lacrosse on the Florida Launch team and has been playing professional lacrosse in the MLL since being recruited in 2014 by the Chesapeake Bayhawks. Prior to the MLL, Mark graduated from the University of North Carolina (UNC) with a double major and had an exceptional collegiate career as a dual sport athlete, playing midfield for the UNC lacrosse team and wide-receiver and special teams for the UNC football team. Before college, Mark was a remarkable lacrosse player at St. Mary's HS in Annapolis where he was a scholar-athlete, receiving Academic Honor Roll for his performance inside the classroom and being named Under Armour All-American, All Anne Arundel County, Tewaaraton High School Team, Annapolis Capital/Gazette Athlete of the Year, and No. 3 Top Gun Rising Senior by Inside Lacrosse Magazine for his performance on the lacrosse field. Coach Mark is an extraordinary addition to the Cannons coaching family and we are thrilled to have him with us. Coach Dave started his lacrosse career as a freshman at St. Mary’s High School in Manhasset, NY, where he played alongside now Hopkins Coach Dave Pietramala, where he won two NSCHSAA Lacrosse Championships, and where he was a starter on the Varsity Basketball team. After high school, Coach Dave was recruited to play defense at Division II Adelphi University in Garden City, NY. Upon completion of his freshman year, Coach Dave was offered a prestigious academic scholarship in mechanical engineering at Brooklyn Polytechnic University. Off the field, Coach Dave works as an engineer for the U.S. Navy Air Traffic Control and Landing Systems. He served on the Board of Directors of the AUVSI Southern Maryland Chapter for five years and worked with engineering students each summer while co-directing the AUVSI Student Competition. Coach Dave is father to two lacrosse-loving boys and husband to an extremely patient lacrosse mom. When his lacrosse schedule allows, he likes to spend time boating with his family on the Chesapeake Bay. This is Coach Dave’s second year volunteering with Cannons Select. His coaching passion is team defense and individualized instruction with young athletes to help them perfect fundamentals and develop the skills they need to excel. For more than twenty years, Coach Mike has had a lacrosse stick in his hand. His lacrosse career began as a high school player with Calvert Lacrosse Club where he helped his 1998 team earn a Top 10 Ranking in The Washington Post. He has played lacrosse at the high school, college and club levels and continues playing in men’s leagues and competitive tournaments with his CLC brothers. After high school, Mike was recruited to play college lacrosse as a midfielder at Salisbury University. Mike played for four years at Salisbury and was awarded the Salisbury University Scholar-Athlete Award in 2002 and 2003. Mike earned the coveted title of NCAA National Champion Lacrosse Player when he and his Salisbury teammates won the 2003 NCAA Division III Men’s Lacrosse Championship! 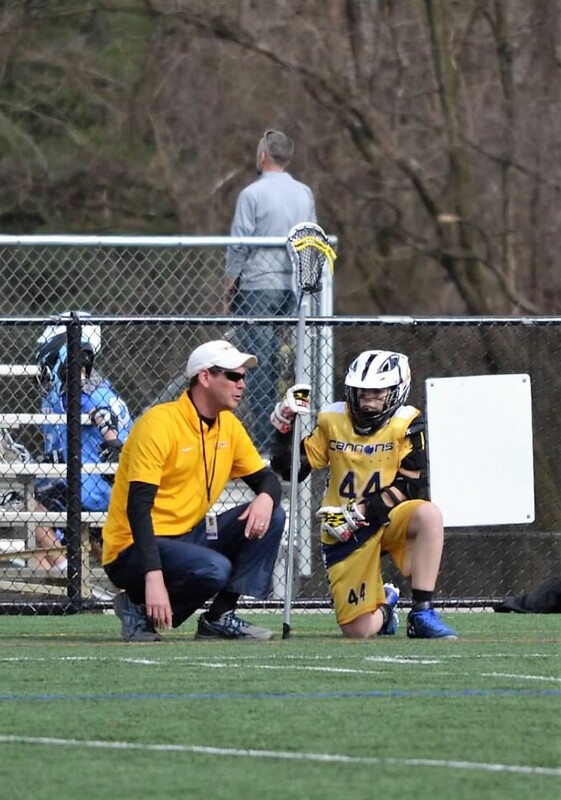 Although Mike has coached wrestling and other sports, as his children began following in his lacrosse footsteps, Mike’s passion turned to coaching youth lacrosse where he has spent over 5 years coaching Maryland Youth Club Lacrosse. Mike was always a student of the game as a player and continues as a student of the game as a coach focusing his instruction on strong fundamentals and how to think on the field. Our Cannons Select teams have had great success under Mike’s leadership, winning championships in the Howard County Club Lacrosse Conference in 2016 and 2017, the Brine Lax Splash Tournament in 2015 and 2016, the Lax Heroes Championship in 2015, and the Bay Bridge Brawl in 2015 to name just a few. Mike recently stepped into a leadership role in the Cannons Select Lacrosse organization. 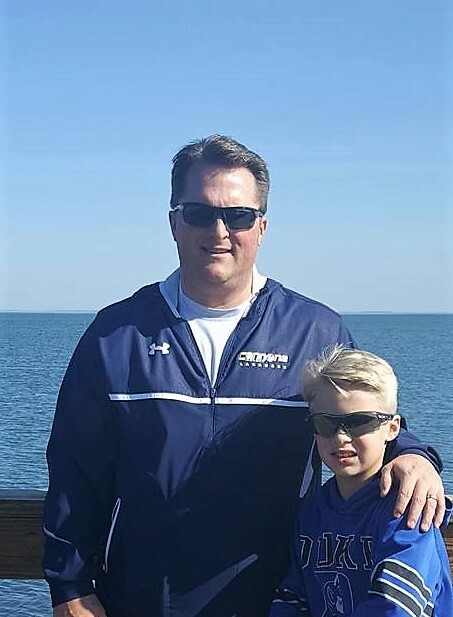 When he is not on the lacrosse field, Mike works in the IT field supporting the Navy and enjoys spending time with his wife, Julie, and his three children: Michael, Ben, and Ryan. Coach Shawn is a 1996 graduate of Northern HS and played all four high school years on the Calvert Lacrosse Club Varsity Team. As a sophomore, Shawn received the Lacrosse Foundation's Unsung Hero Award for his leadership and contribution to his team. As a junior, Shawn was selected to the STX Maryland Select All-Star Team as a midfielder and faceoff specialist. In his senior year, Shawn was named to the prestigious All-Met All-Star Team. Shawn was recruited to play Division I lacrosse at UMBC where he and his team earned two births in the NCAA Division I Tournament. Unfortunately his team fell to Georgetown by one goal in 1998 and to Delaware by one goal in 1999. In 2001 Shawn graduated from UMBC with a degree in Psychology. This is Shawn’s seventh year as a youth lacrosse coach. During his coaching career, Shawn has touched many young lives and has had many successes. Shawn is married to his wife Eileen and has two children – son Caleb who plays on the Cannons Select U11 team and daughter Alana who plays girls lacrosse. When not coaching or supporting his children on the lacrosse field, Shawn is on the water as owner and captain of his charter fishing boats – Wound Tight and Miss Lizzy Fishing Charters. Shawn continues to play men’s lacrosse where he still outruns most opponents and dominates on faceoffs. 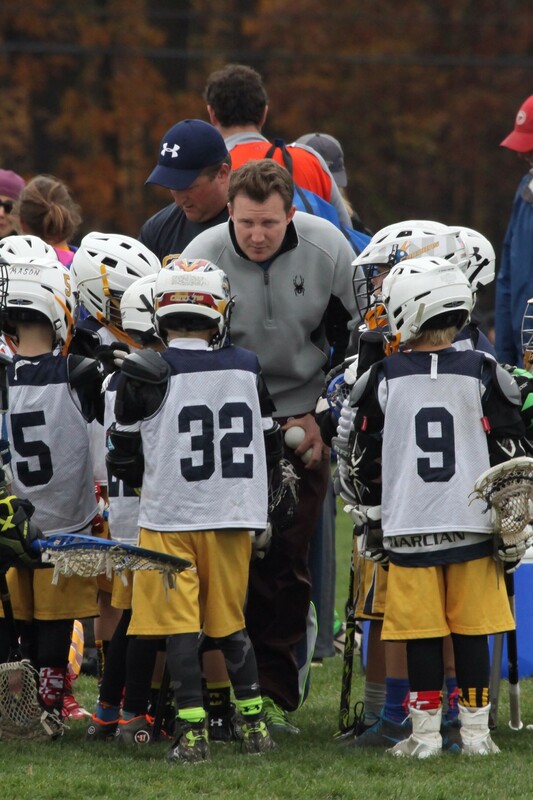 Coach Mark is entering his seventh season as a youth club lacrosse coach with 12 years experience coaching youth athletics in Southern Maryland. Mark is a member of the US Lacrosse organization where he holds a coaching certification and stays current on the latest happenings in the sport. Mark lives in Dunkirk with his wife, Erika, and their two children. His daughter plays lacrosse at Northern High School and his son plays on the Cannons Select 2025 team. Mark is a local attorney who practices throughout Southern Maryland and is the Treasurer of the Cannons Select organization. 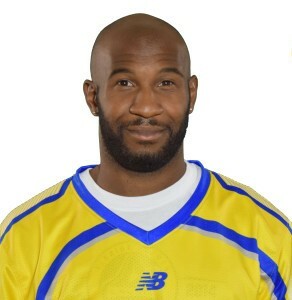 Coach Chester has been involved in youth sports as a coach of lacrosse and soccer in Southern Maryland for over 8 years. During his lacrosse career, he was involved with the Charles County Lacrosse Club, Dunkirk Warriors and Cannons Select Lacrosse. He has been part of the Cannons Select coaching staff since 2013 beginning as an Assistant Coach, helping to coach the Cannons Box Lacrosse Team, and then later moving into a Head Coach role. Chester is a member of the US Lacrosse organization where he holds a coaching certification. Chester and his wife, Sonia, have three sons who are very active in lacrosse and other sports. 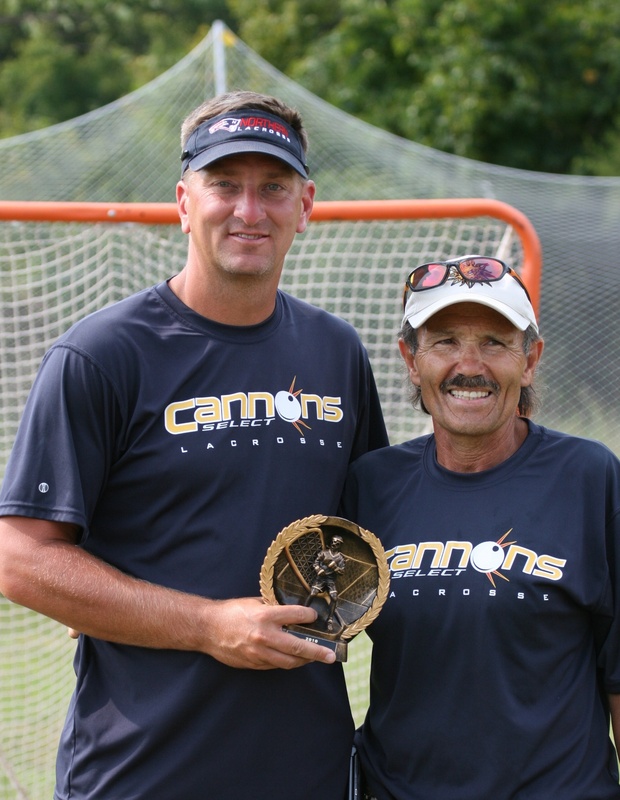 Their two younger sons have been with the Cannons Select program since an early age and have been part of a long list of championship events with their Cannons teams. Cyrus, a 2022 Cannon alum, is currently a freshman at St. John’s College High School where he plays lacrosse and soccer. CJ is a leader on the 2026 Cannons team and is also a longtime soccer player. Outside of family and sports, Chester is an accomplished information technology professional with more than 20 years of federal and private experience in all aspects of IT operations and systems. Coach Billy Philpott is a multi-sport youth coach with 10+ years coaching experience and four years dedicated to lacrosse. Billy is a favorite to the players he has instructed. His interactive, no-nonsense style of coaching keeps players moving, learning, and we’re excited to have him joining the 2026 coaching team. Coach Dave grew up playing lacrosse in Edgewater, MD before attending Archbishop Spalding HS where he co-captioned his Varsity Lacrosse Team during his junior and senior years. Coach Dave played lacrosse at Limestone College before returning to Maryland to earn his college degree at UMUC. Coach Dave has been with the Cannons organization for the past five years and coached two years at Dunkirk prior to that. Coach Dave’s experience with our younger players focuses on lacrosse fundamentals and is imperative to building a strong foundation in our Cannons players. Professionally Dave has spent the past 20+ years working in the flooring industry. In 2011 Dave opened Marva Floors where his experience and passion for his trade help in both commercial and residential projects. 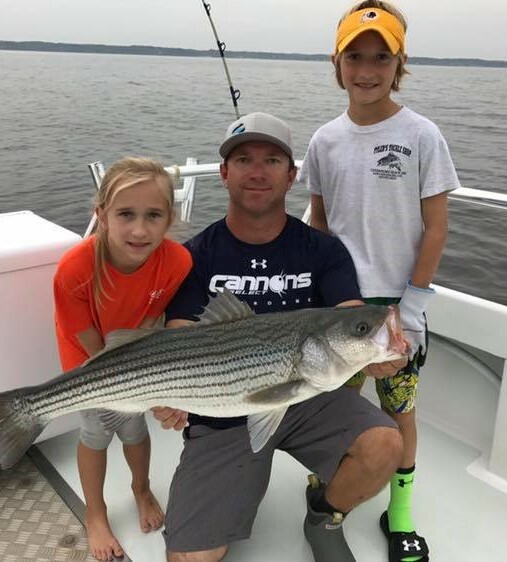 In his spare time Dave loves spending time with his family on the water where they enjoy all types of water activities, including fishing and cruising the Chesapeake Bay. Coach Josh is returning to coach our 1st & 2nd grade players after leading them to an undefeated season last year at the Scoopers level. More importantly, the players under Coach Josh's instruction learned the fundamentals of the game, had fun, and competed with heart and hustle. 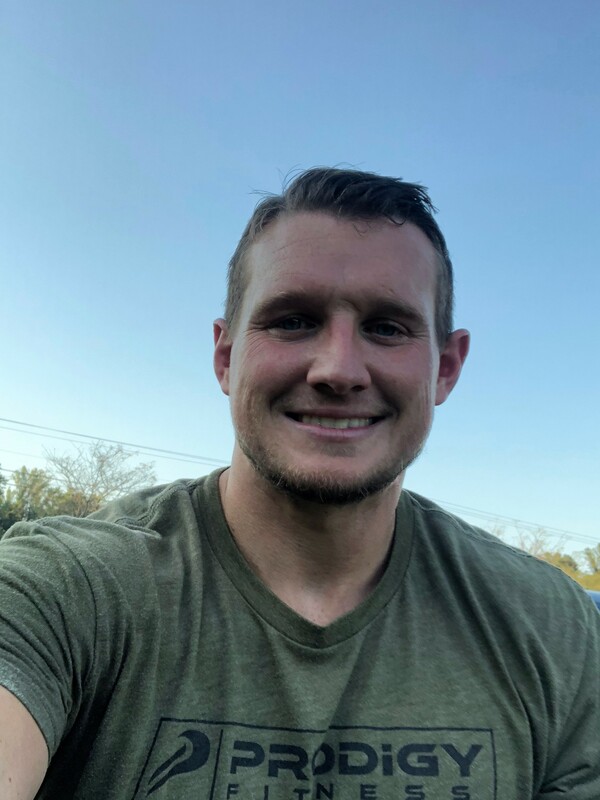 Before beginning his coaching career with Cannons Select, Coach Josh was a dual sport athlete in wrestling and lacrosse at Harford High School in Bel Air MD. After high school, Coach Josh remained active as an instructor in both sports, coaching wrestling and lacrosse at the youth level. Coach Josh lives locally in Calvert County where he owns and operates Ecotek Power Wash with his family. Coach Matt Taby has spent the last two years coaching lacrosse with the Huntingtown Hurricanes. In addition to lacrosse, Matt has coached youth football and wrestling. Matt was a three-sport athlete at Old Mill HS where he played football, wrestled, and ran track. After high school, Coach Matt played college football at Widener University in Pennsylvania before moving to Stevenson University where he graduated with a degree in Business Administration. Throughout his college career, Coach Matt was a personal trainer focusing on strength and agility development in youth ages 6 through 12. Coach Matt currently lives in Huntingtown. When not on the field with our Cannons, Coach Matt enjoys spending time with his wife Elizabeth, son Braidyn and daughter Brooke. 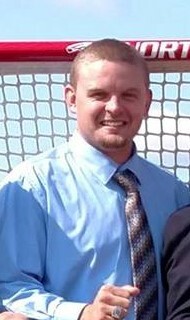 Coach Aaron “Woody” Wood started his lacrosse career as a player at Calvert High School. While playing on his high school team, Woody also volunteered his time and expertise as a coaching assistant to local youth organizations. Over the years, Woody followed his passion for developing faceoff specialists and began offering individualized instruction and small clinics to local talent. Woody has worked alongside some of the top faceoff talent in the region and has brought that knowledge back to our local youth and high school players. Southern Maryland’s faceoff game has dramatically improved under Woody’s guidance and commitment. Coach Woody has assisted organizations in the area, including Cannons Select Lacrosse, Northern High School, The Calverton School, and College of Southern Maryland and has organized faceoff clinics at all ages. Off of the field Coach Woody enjoys music, stringing lacrosse sticks and spending time with his family and friends. 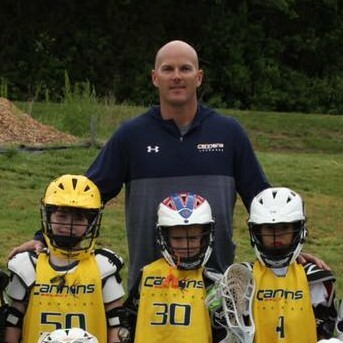 Cannons Select Lacrosse welcomes Coach Tanner Duggan this year to our Summer High School Program.